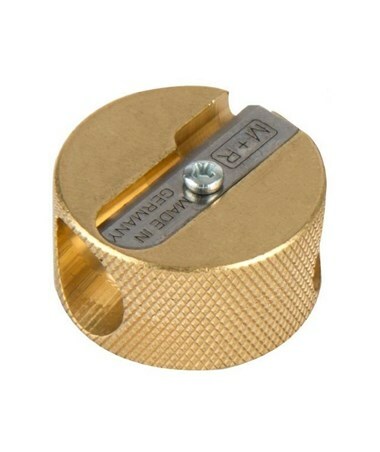 Accommodate standard and large diameter pencils up to 5/16"
The Alvin Solid Brass Double-Hole Round Pencil Sharpener (Pack of 12) is a functional and versatile sharpener for all artists, draftsmen, students, and other professionals. It comes with a double-hole design to accommodate standard pencils and large pencils with up to 5/16-inch diameter. 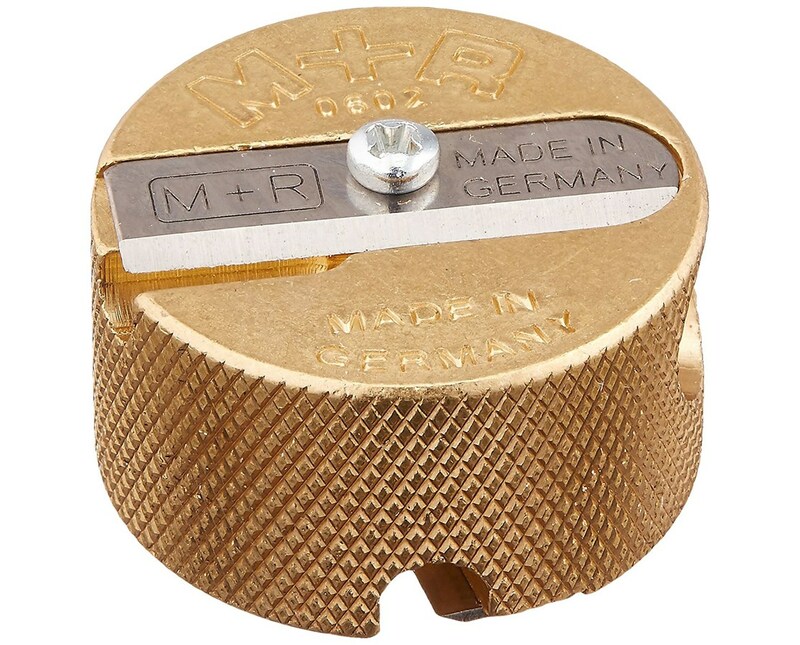 Made of solid brass material, it is durable and will last for a long period of time. 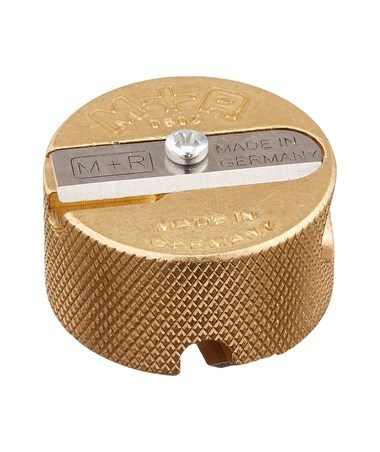 The Alvin Solid Brass Double-Hole Round Pencil Sharpener (Pack of 12) features knurled side parts to provide non-slip grip for easy and convenient sharpening. It is equipped with screw-mounted blades that are replaceable. Replacement blades can be bought separately. Each package includes 12 double-hole sharpeners and comes in a blister card.